I don’t get out to the Eagle Rock neighborhood much when I’m in LA, as I tend to opt for the Westside. 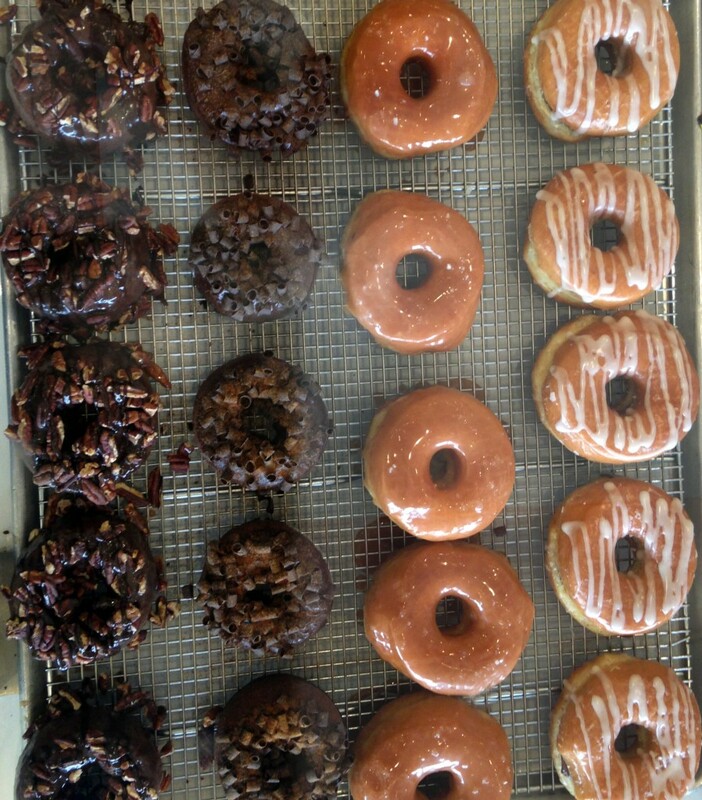 But luckily I had a casting session in the area, so I was more than happy to take a quick detour to Donut Friend. I was excited to go here, not only because I heard the donuts were great, but also to take a stroll down memory lane. 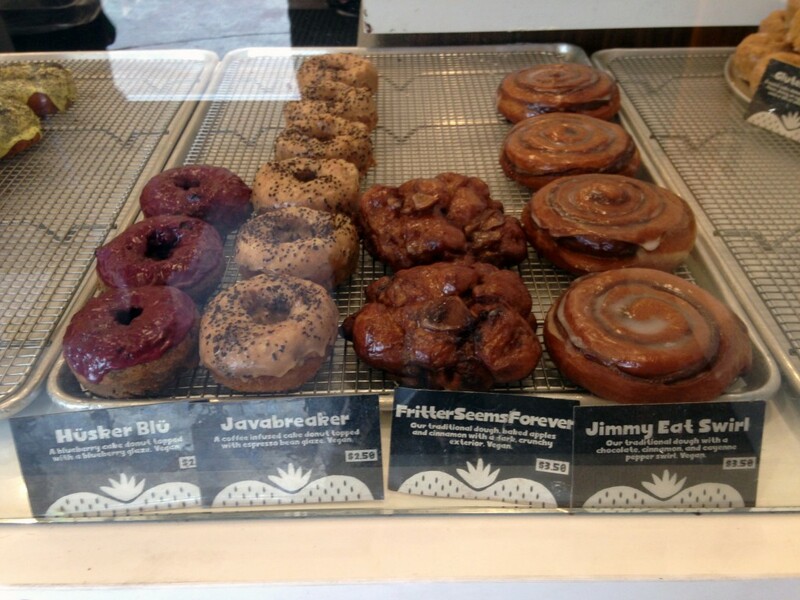 You see, the donuts here are all named after late 90’s/early 2000’s alternative/indie/punk bands. Donut Friend is the brainchild of former producer and drummer turned donut aficionado, Mark Trombino, who mixed and produced tracks for the likes of Jimmy Eat World, Blink-182, Finch, All Time Low, etc. etc. 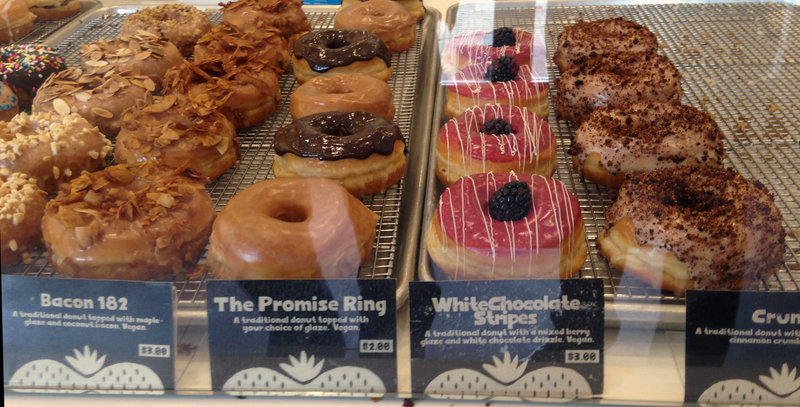 And just like he did for these bands, he’s upping the donut game at Donut Friend. 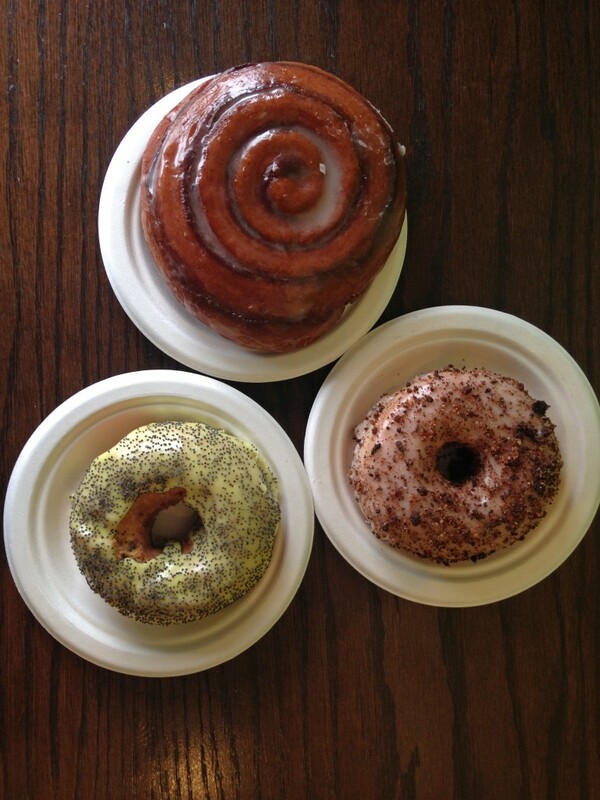 The first donut I had was the Crumb (presumably named after the band Crumbox). This was my favorite of the lot. 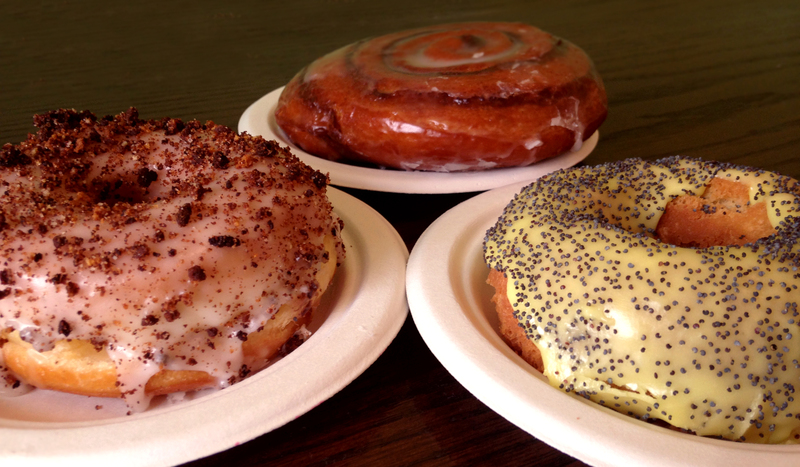 A fluffy, chewy yeast donut with an understated vanilla glaze and a chocolate cinnamon crumble on top. Next up was the Poppygandhi (named after Propagandhi). This cake donut with Lemon glaze and poppy seeds on top had a crunchy outside and soft cakey inside. A perfect texture for a cake donut. Then there was the Jimmy Eat Swirl (named after one of my favorite bands, Jimmy Eat World). Since Mark did an amazing job on all the Jimmy Eat World records he worked on, I figured he would do the Jimmy Eat Swirl justice. This cinnamon roll had a peppery-spicyness to it with a slight crunch on the outside and chewiness on the inside. There are a bunch of other creative flavors and names to go along with it like Jets to Basil, S’morrissey, or the Starting Lime. And if you don’t like what’s currently on the menu, you can always make your own. Just make sure you give it a creative name.